Man Tunnels Into GameStop & Steals Games ! Here In the title i have mentioned that "Man Tunnels" It means that he literally tunneled into the system. Game Piracy is the business all over the world.But there are some guys who don't need to do piracy.They are digging into the system of the local game shop sites and making stocks as much as then can in no time. 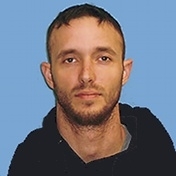 This man has stolen games like Greeneville & Tennesse , After that he got arrested in last week for being tunneling into the local game shop.Steven Archer, 33, making off with almost $300 in cash and around $5,400 in games. But truth always wins.He could not enjoy his his gotten gains ( The games which are stolen By this man )and he got arrested last week.The man was arrested by Detective Pat Hankins.He was being charged with felony burglary. So the conclusion is that the people who don't want to spent money to buy games,they should wait to come the money in their hand and then to buy original game cd/dvd rather to digging into the system and gaining access.